After you create a new world in Minecraft, the first order of business is to survive the first night. While the first night can be scary and frustrating for a first-time player, a little preparation will make it a breeze. 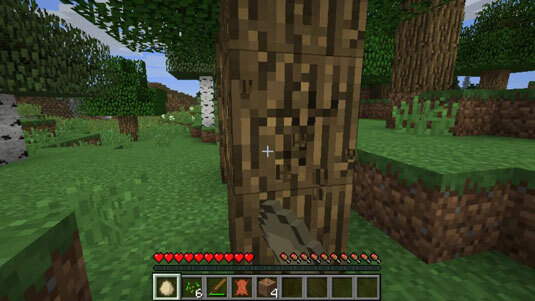 Surviving the first night in Minecraft requires you to do the following: harvesting trees for wood, build a crafting table, build a shelter, and other preparations such as crafting weapons to defend yourself or catching animals. The table shows a basic schedule of what you’ll need to do to prepare for the night in the 13 minutes you have available before nighttime arrives. 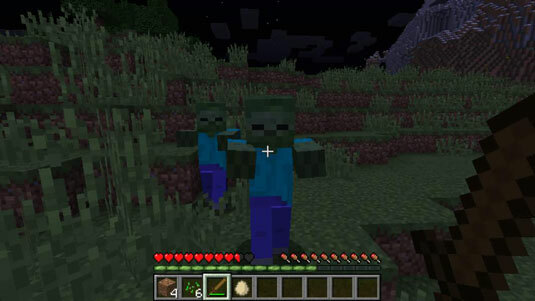 While the above preparations can give you a baseline plan of attack and a glimpse of what you need to do to survive the first night in Minecraft, some players prefer to have a more defined approach. We’ve included a few basic Minecraft survival strategies to help you make it out alive, and set the pace to stay alive (you hope) throughout the game. The first approach is the simplest but most effective approach for new players, whereas the two additional plans are better reserved for players with some Minecraft experience. Harvest trees by punching wood. Craft wooden tools and a sword. If you’re playing in Peaceful mode, it isn’t necessary to build a shelter or sword. You can choose any optional activities or try your hand at building an effective house. Though the first strategy prepares you for the night, it leaves a bit of risk and little protection. The second strategy for surviving the night ensures that you’ve covered all the bases to make yourself completely safe. These steps, though perhaps requiring a little more work to achieve, ensure a peaceful night of sleep with little interruption from mobs on your first night. Similar to the first strategy, this more advanced strategy requires you to take care of some of the basics first including collecting resources and preparing your crafting tables. However, this strategy has a bigger focus on killing & capturing animals to ensure you have a consistent food supply (for energy and survival) moving into the night and the following days. You can do so by punching wood. Create a crafting table and chest. Find and kill sheep and craft a bed. Just like real life, in Minecraft sheep are one of the animals you can kill to get meat to feed yourself and wool to build beds and other things. 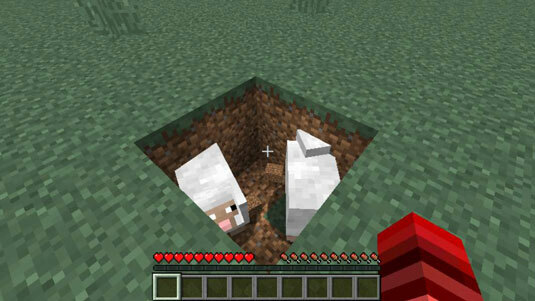 Fortunately, the sheep in Minecraft are 8-bit pixel animals and the killing is hardly violent. After you’ve killed some sheep, you’ll want to craft a bed. Trap animals other than sheep. Using the remaining daylight, look for animals and trap them by digging a hole, trying to get at least two of each animal. Trapping animals allows you to have food and energy when you need it, and by having more than one animal they will spawn and produce even more animals in your hole! Look for caves or dig a staircase mine. You can do this by looking for caves or digging a staircase mine. There is an alternative strategy that is taken by more experienced and adventurous players, who are comfortable fighting a mob or two and who want to take much more risk on their first night. As in all other strategies we describe for surviving the first night, we start by punching wood (harvesting trees). Next, you should craft a sword because you will be fighting and a weapon is critical to winning those battles. The bed you sleep in won’t work if mobs are nearby. After all the tools you want have been crafted, break the crafting table and take it with you. Look for sheep so that you can craft that all-important bed. Now it’s time to travel on your adventure. Start moving and look for anything — a cave, a village, or even a pyramid! Villages work well for starter homes, but you’ll have to fight off the zombies. This strategy is targeted at exploring the Minecraft world nomad-style rather than create a large house (or base) with connecting farms and mines. There’s no single correct way to play Minecraft! If you have crafted a bed and sword, you do not need a shelter, because you can either fight off mobs or sleep the night away. You can choose from plenty of other successful strategies using a combination of required and optional Day One activities. Many players like to experiment with different ideas and strategies every time they play, whereas others stick to a single method that proves effective. When it’s daytime again, the world becomes safer. The undead catch fire in sunlight, spiders no longer attack you, and endermen disappear as they teleport away from the harmful light; creepers are still harmful, but they eventually leave as well. If you’re in any mode other than Peaceful mode, congratulations on surviving your first night! Now you can turn your attention to mastering the basic skills needed to survive hunger.